Darn Tough Socks are widely known across America’s premier outdoor enthusiast websites. The socks are spoken of in reverence with mentions of consistent 5-star ratings, impressive sales numbers and delighted customers. While the products themselves have already gained acclaim, the story behind the brand is equally worthy of attention. Produced out of the Cabot Hosiery Mills in a small Vermont town with a population of less than seven thousand, Darn Tough was a last ditch effort to save a family business in the face of an increasingly outsourced industry. Cabot Hosiery Mills was founded in the 70s by Marc Cabot and remained relatively successful for decades selling private label socks to major brands throughout the US. Things changed quickly as outsourcing took hold in the 90s and the same brands that had bought from Cabot for years began to undercut prices and dissolve longstanding relationships for lower quality substitutes. Cabot was forced to lay off dozens of employees, bankruptcy loomed and margins were disappearing. The only glimmer of hope would be the creation of a branded, high-quality sock and a direct-to-consumer approach. A name was chosen that evoked the stalwart nature of their mill as well as the dependability of their new densely woven merino wool socks: Darn Tough. 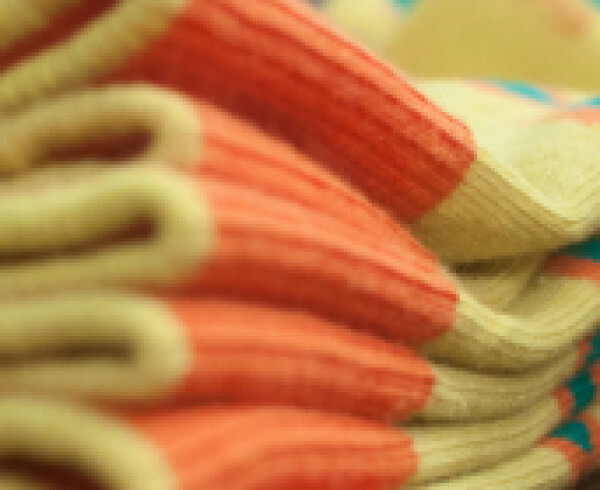 The socks were introduced at the 2004 Vermont City Marathon through a free give-away and although growth was slow at first, a new trend was emerging to counter the outsourcing of the 90s that would breathe new life into the Northfield, Vermont mill. Consumer demand for higher-quality products with strong back-stories, ties to local communities and bearing the label “American Made” was on the rise. Simultaneously, a law requiring that the military domestically source its gear whenever possible helped Cabot secure several multimillion-dollar contracts. As the saying goes, “luck is when preparation meets opportunity” and Darn Tough was well prepared with a line of exceptional products to perfectly take advantage of these timely opportunities. An intriguing company history of endurance in the face of odds goes a long way. That being said, Darn Tough’s commitment to it’s local community and customers as well as first-hand experience with the quality and dependability of it’s socks is what has impressed us the most from the outset. Although prices are higher than most of us are used to paying for a single pair of socks, we should be reminded that these are performance socks capable of thriving in miserable environments. When you’re stranded on an icy, windblown peak in the northeast you’ll be happy you went with Darn Tough. And after hundreds of treks, hikes and runs have started to wear a hole in their sole, you’ll be thrilled their guaranteed replacement will have you back out their quickly and at no extra cost.